UPDATE:NEW HOME FOUND FOR “KANYE WEST”, MANY THANKS. 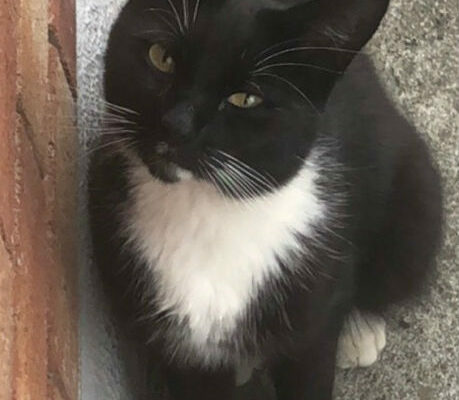 REHOMING ” KANYE WEST” 3 Y/O MALE NEUTERED CAT. Kanye West who is a three year old neutered cat. He is a black short haired cat with white under neck and on paws. He is very tame and easy to handle. Used to being inside/outside home and toilet trained. He is territorial and likes to be his own boss! Great rat catcher ! Please share. Interested please message or phone Kilkenny SPCA @ 056-7771635. Ref: 270753.